Oh man. The more details I get on this Dragonball movie, the more I’m trying not to barf. For one, I really hate it when you get white folk trying to play black-haired anime characters. Such is the case when Hollywood decides to get something innately Asian and Anglicize them for a westernized take. But what makes this a travesty of justice is that Stephen Chow is producing this potential pile of steaming crap. This is Dragonball for chrissakes! It doesn’t really matter if you cast Jamie Chung, Chow Yun Fat and Eriko Tamura (as Chi Chi, Master Roshi and Mai, respectively). 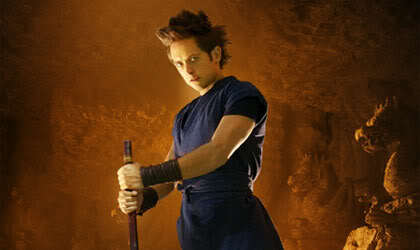 Justin Chatwin as Son Goku is just plain wrong! Enough with white guys playing the token anime hero!